The view is from the Capitol's third-floor balcony and shows the Rotunda's mural of Agriculture, the symbol for the United States, the railings of other balconies, the terrazzo tile of the second floor below and much more. 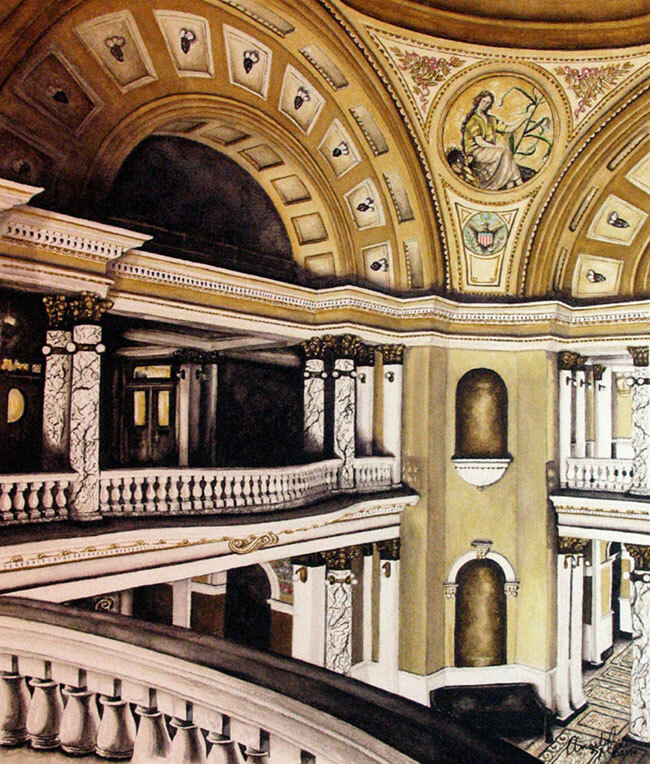 Angela Marie Poches' watercolor is based on a photograph from the State Archives that was taken of the Capitol in 1910. Commemorative Edition includes a piece of marble from the South Dakota Capitol.